In the past we’ve gone over everything you need to know about a button-down collar. Then we walked you through wearing polo shirts, so you’d never be caught out of sorts there. 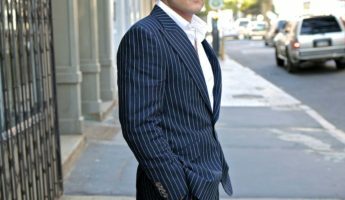 Though those guides are brilliantly helpful and all you need to be a perfectly fine man, we decided to also help you take your shirt game to the top tier by explaining everything you could ever hope to want to know about the cornerstone of a true gentleman’s closet, the OCBD – Oxford Cloth Button-Down. The initial button-down collar was adopted by polo players in India who needed a way to look semi-formal while keeping their collars from flapping in their faces while they horsed around. Brooks Brothers saw the interest in immobile collars and sought to bring it into more fashionable wear by combining it with Oxford cloth in a dress shirt. The mixture was a massive hit in Hollywood during the 1950’s, which translated into a nationwide phenomenon during a time when films wholly defined what people wore. At first, oxford cloth shirts with button-down collars were passed off as formal wear, and thus were put with tuxedos, pinstripe suits, and were permitted as office attire in New York high rises. That fad quickly faded, as fashion mavens recognized that the whole intent of shirts with unflappable collars was to hold them in place during games of sport. That casualness was deigned too informal for a place where old, white men went to rob the hard-working of their hard-earned paychecks, and so the oxford button-down fell to the rank and file, where it remains today. Though you can still get away with an oxford cloth shirt that has a buttoned collar under a tailored suit, you’re more likely to find them used as weekend wear during boating, barbecues, or worn by the office IT professional who needs to crawl under desks and do real work. 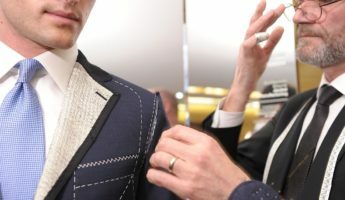 Mechanics, machinists, architects, engineers, and other pros who do more than issue mandates from on high are also adherents to the button-down collar, as it looks fashionable, but doesn’t interfere with their tasks. 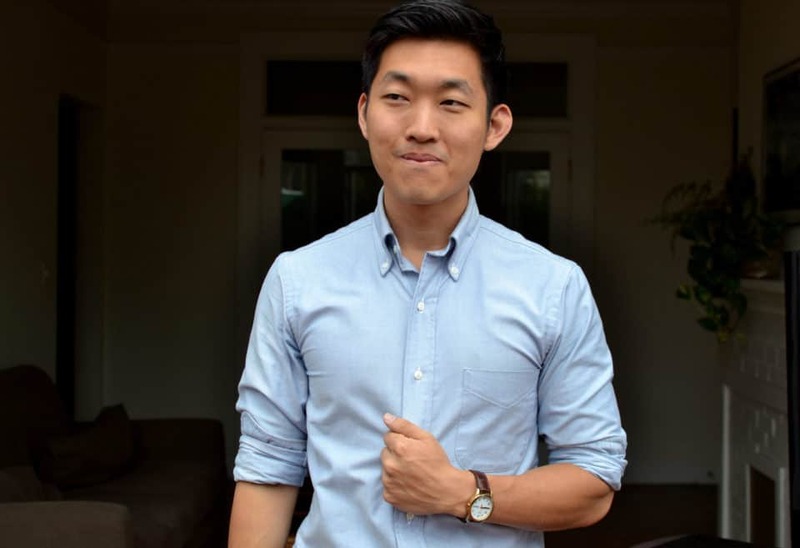 Nearly every brand that makes a shirt has some variant of the oxford cloth button-down, since they’re versatile as a piece of clothing and can be used in a wide range of circumstances. Though they all share a few similar traits, not every OCBD is created equal, and you should know what you’re doing before you ever pluck one off the rack. Anyone who’s been trapped in a bad double poly blend can attest to how important it is to select textiles that are easy on your body. Brooks Brothers used 100% cotton for their oxford shirts because the natural breathing qualities of the fabric made them comfortable, while also looking excellent as they draped on your body. Today there’s a few other variants with silk and linen making appearances, but the simple rule for oxford shirts is to choose cotton, or anything else that comes from nature. Most cheap choices have a lot of polyester in them which won’t breathe, looks stiffer and more awkward, hangs oddly, degrades quickly, and feels terrible against your skin. The lower cost brings too many negatives to make it worth your while. 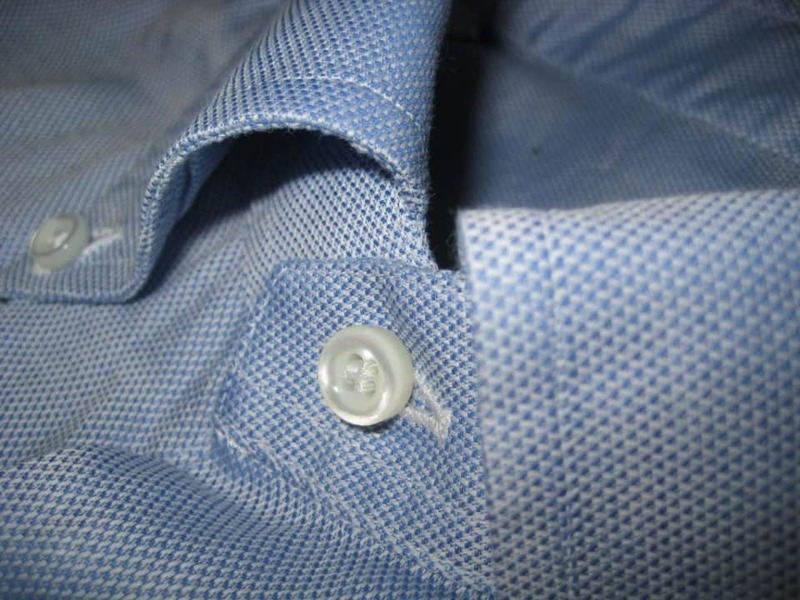 If the collar lays flat when it is buttoned down, it isn’t a true OCBD. It’s a false idol and should be put on the pyre at your first opportunity. In original, classic oxford button-downs, the collar extended past the button when undone, which meant that it puffed up slightly when buttoned, creating what is known as a soft roll. The purpose of this is to add life and depth to a collar that works best without a tie. It’s supposed to frame your face, lengthen your neck, and add breadth to your chest. If you want a shirt that lays down, the buttons are superfluous. Remember, the first OCBDs were modeled after sportswear, and modern ones are made for semi-active lifestyles. 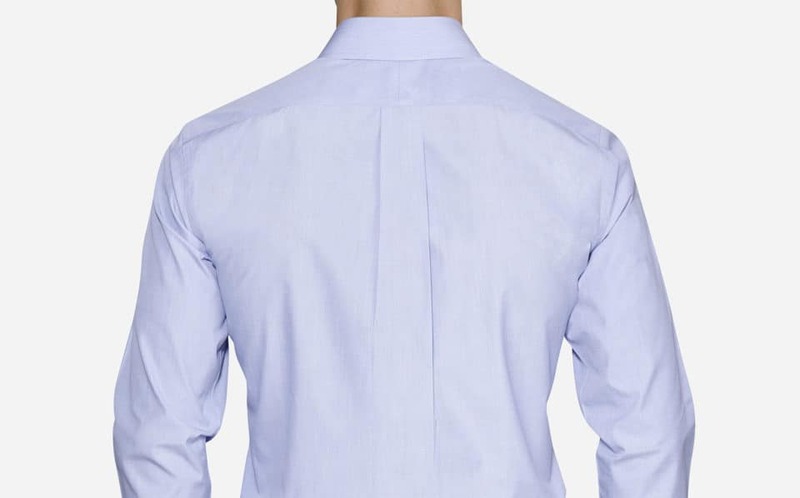 The rear of your shirt should have a box pleat to allow you better range of motion in the arms and shoulders, both for work and for pickup football games on Thanksgiving. If it binds or tugs when you move, it’s not doing its job. 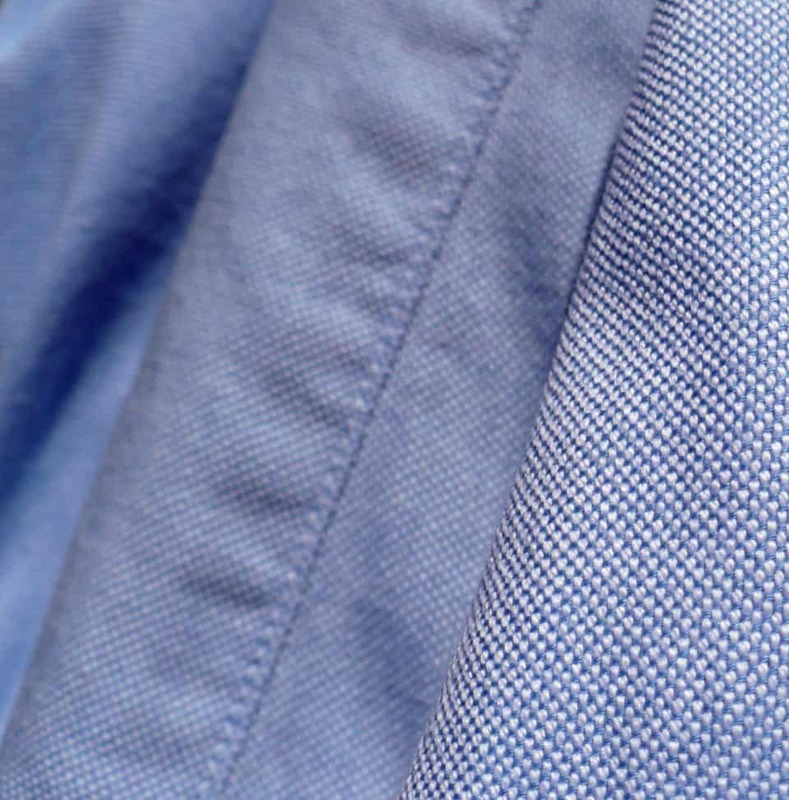 Though few oxford cloth shirts have French cuffs which require cufflinks, there’s a few out there. 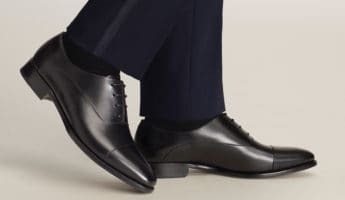 It looks odd to have the casual rolled and buttoned collar with the highly formal cuffs, so ordinarily the best option is to get casual cuffs with a tight button on the sleeves. If you can’t live without French cuffs, choose cufflinks that are playful, amusing, or laid back instead of deadly formal. 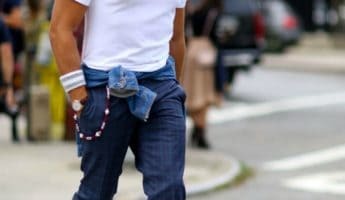 By this point, you likely have a solid notion of when and how to wear an oxford cloth button-down, but there’s a few hard and fast rules to follow so you don’t end up looking like a rube who just fell off the potato truck. 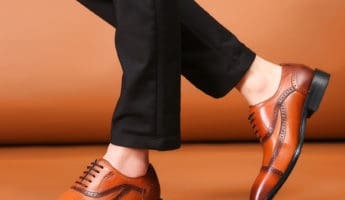 Your OCBD works well under a cardigan, a smoking jacket, a sport coat, or all by itself with some chinos, tucked in or not. 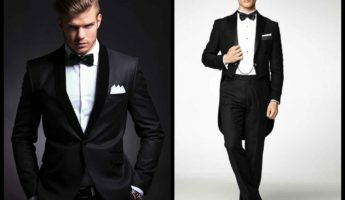 It doesn’t belong with a suit, and never should be put with a tuxedo, tails, or a formal dinner jacket. You shouldn’t be wearing it to a formal work environment, ever. Since it is not a dress shirt, it doesn’t need to have a tie put with it. In fact, adding a tie can draw eyes to the clumsy mixture of rolled collar and neckwear, which can look frightful. On the other hand, if you go with a casual knit tie, or one with a square end, it can add to the loose, devil-may-care appearance. While it still isn’t appropriate for a white collar job, it can make you lovably rumpled. Best of all, you can and should wear an OCBD unbuttoned with a loose tie on weekends or evenings at the pub. It shows you can dress up or down, and opt to look put together, even on your personal time.